NOVA Information Management School (NOVA IMS), Universidade Nova de Lisboa invites an expression of interest for a position as a Professor (at Assistant/ Associate or Full Professor level) in Data-driven Marketing with a special focus on Digital and Marketing Analytics. The position is to be filled in NOVA IMS’ facilities in Lisbon, Portugal. The successful applicants should have a strong academic background and an international profile in the aforementioned expertise areas with a record of research publications in top-ranked field journals. Moreover, relevant experience in obtaining funding and managing national and international research projects will be considered an advantage. The successful candidate should be able to provide strong and committed leadership in education, including curriculum development, program coordination and educational innovation, the preparation and delivery of lectures, seminars and tutorials, consultation with students, and grading and assessment. Collaborative skills, initiative, goal oriented, organization, and capacity to work in an interdisciplinary environment. NOVA Information Management School (NOVA IMS –www.novaims.unl.pt) is one of the 9 academic units of Universidade NOVA de Lisboa, a university with internationally recognized research and quality teaching. The School is dedicated to teaching and research activities in the area of information management and it has currently more than 1,800 students enrolled in 10 awarding degree programmes (2 bachelor programmes, 7 master programmes and 1 doctoral programme) plus a large number of post-graduate programmes. 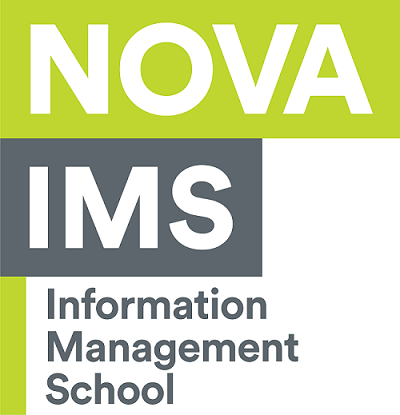 NOVA IMS has been consolidating its position as a leading school in the area of Information Management. Recently six of NOVA IMS' Master and Postgraduate Programmes were ranked in the world TOP 5 of the Best Masters Ranking 2018, by Eduniversal – an international agency that publishes the annual ranking of the best MBA and Master's degrees in the world. NOVA IMS has managed to achieve significant levels of internationalization, not only regarding education, with a major demand from foreign students (in 2018 NOVA IMS had 26% foreign students coming from more than 70 different nationalities) and with the participation of internationally renowned faculty in its teaching staff, but also in research and development activities that are largely supported by international partnerships, offering a unique research environment to address its main research challenges. The School offers support for grant project elaboration (FCT, EU Grants), an annual research budget, and scientific publication awards. NOVA IMS has established a Marketing Analytics Lab where marketing faculty can conduct their studies using experimental design, neuromarketing equipment (eye tracking, GSR, EEG) as well as develop marketing analytics and artificial intelligence applications. The School is fully accredited by the most important agencies in the field: ABET, EMOS (European Master in Official Statistics), USGIF (United States Geospatial Intelligence Foundation), iSchools, AACSB program, among others.